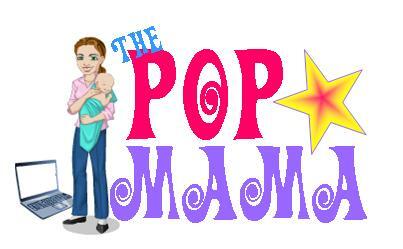 Pop Mama: And so it begins. I cannot believe how fast 2012 came and went. A ton happened in this mama's life, some unexpected challenges and many welcomed blessings. It was a good year and I gearing up for an even better 2013. Because I have been MIA for the late part of 2012, I resolve to be more present in 2013...as in present on my blog as well as in my mothering, wife-ing and business-ing (or as my husband insists, bidnessing). I don't love resolutions because most of them are never kept, but I do declare that I would like to be healthier, more service-oriented and to always try to remember my new mantra of: Live an extraordinary life! We had a wonderful holidays here, albeit my children and I passed around one sickness after another for the past three weeks, but now that we are all seemingly on the mend, I am hoping (and praying) for a healthy start to the new year. The kids were adorable at Christmas and had a blast with all of their new toys and all of the family gatherings that we attended. Cam is at a pretty magical age and Henry seemed to get into the spirit too...he is quite a dancer. Amidst all of the cheer, I was saddened to hear that Bethenny Frankel and Jason Hoppy are separating. I really am disappointed in them. I feel like they let too many other outside things get into their marriage and I wish that they would work it out before divorcing. A girl can dream. It also annoys me when people say that they are "separating," because I feel like it leaves the door open for a reconciliation...yet most of them NEVER reconcile and divorce papers are filed soon after. Just say you are getting divorced already so I don't naively hold out hope for you. So I rang in the New Year with thoughts of baby Kimye on my mind, who as one of my FB friends stated "will be the most spoiled little turd on the face of the planet." I figured that if Kanye and Kim were serious enough NOT to have their own reality show chronicling their romance, that maybe, just maybe they were in it to win it... and now they have their own baby coming before he puts a ring on it. Didn't he listen to his good friend Beyonce? Oh, right, her divorce isn't even final. Although I am being sarcastic, don't think for a minute that I will not follow her pregnancy until she pops out little ______________ (fill in blank with ridiculous 1/2 made up name). So, congratulations to Kim! Speaking of putting a ring on it, has anyone visited www.mysisterwifescloset.com -- home of the fledgling jewelry business of the Brown family? I have. See for yourself what kind of wares the Brown women are hocking and decide for yourself what you think. It is not my taste personally, but most of the pieces are not too tacky. I just watched the Season 3 finale of Sister Wives, even though while I was watching I was not aware that it was the finale, and am still wondering where the heck these people get their money from (besides from TLC)...how do they support all of those kids and are in the midst of building 4 mansions in the desert sun of Las Vegas??? What? Gotta run and watch the Sister Wives: Secrets Revealed special that aired on Sunday night before my kids wake up from nap...maybe my questions will be answered. Later! Have a great rest of the week.